We have used several of these technologies: field guides and binoculars (#1), cameras (#3), and telecommunications (#9). Most recently, we have been following the "hawk cam" of the red-tailed hawks nesting on the Bobst Library on West 4th Street. The New York Times published an excellent hawk resource list on June 3. When we photographs birds or nests, we verify our sightings with field guides or with online resources like the Celebrate Urban Birds project. To Laura's list I would add natural history books such as Crow Planet (which was reviewed by Metropolitan Field Guide), Pigeons , and Red-Tails in Love . Which of these methods do you use regularly and which ones would you like to try? 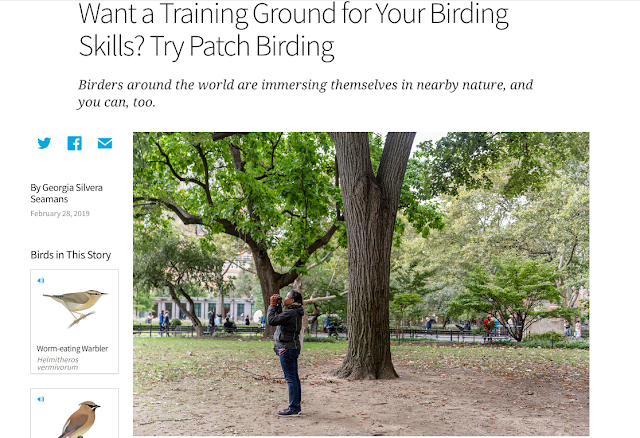 You can follow more of Laura Erickson's writing at Laura's Birding Blog.